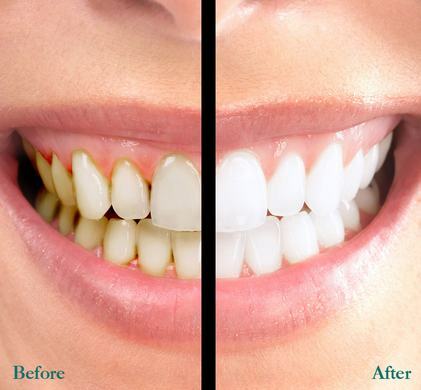 I didn't now this is possible, but according to some dentists you can reverse cavities and heal tooth decay naturally. What do you think? What Really Causes Tooth Decay? Tooth decay is another message from our bodies that something is out of balance. Tooth health is kept in check with proper nutrition, not dentistry or fluoride. In fact, fluoride doesn’t make teeth stronger and it actually puts our health at risk. In a recent study published in The Lancet Neurology, fluoride was added to a list of toxic environmental chemicals contributing to neurodevelopmental disabilities such as autism and ADHD. Fluoride joined the list along with mercury and arsenic. This casts a new light on those fluoride treatments offered by your dentist, doesn’t it? Unfortunately in many places around the country water is still fluoridated and any bottled water bought at the store usually contains added fluoride too. Not to mention the fluoride in many children’s toothpaste brands. Probably the worst culprit of them all for anyone who desires healthy, cavity-free teeth, sugar should be avoided like the plague. So kick that sugar addiction stat. Not only does sugar feed oral bacteria that prevents a healthy flow of dental fluids, but it’s highly acidic and can literally decalcify or demineralize the structural content of teeth that create dental decay. Raw dairy is filled with the vitamins and minerals that contribute to a healthy dental fluid flow and help maintain strong teeth and promote oral wellness. Thus, it’s a great way to get cavity-free teeth. Loaded with calcium, vitamin K2, vitamin D3, magnesium, phosphorus and fat-soluble vitamins, it’s a good idea to consume raw dairy products at least weekly. I recommend goat milk, kefir, raw cheeses and organic grass-fed butter as great options. ` Rich in animal foods like bone broth, meat, fish and eggs. ` Raw and cooked vegetables, especially green leafy vegetables. ` Raw dairy like kefir, cheese and grass-fed butter. ` Fruit, one piece daily early in day. ` Vitamin D — get plenty of sunshine, and days not in sun supplement with 5,000IU daily of D3. ` Foods high in healthy fats like coconut oil, avocado, olives, and fish or fermented cod liver oil. ` Fermented grains only and in moderation, such as true sourdough bread (or even better no grains at all). You can buy raw flours and breads. ` Nuts, seeds and beans only that have been sprouted. ` Finally, NO processed foods, packaged foods or fast food. If you can’t do 20 minutes, three to five minutes is still good. I recommend using coconut oil and a drop or two of clove and/or tea tree essential oils for maximal antiseptic and antifungal power.